Keppel closes in on delivery of world’s first FLNG vessel conversion. A testament to Keppel; smooth operation of this unit will boost confidence of potential customers. Benefits from improving sentiment on property. Upgrade to BUY; Target Price lifted to S$7.60. Upgrade to BUY with higher TP of S$7.60, after raising valuation peg for property segment from 0.85x to 1.0x P/B, in line with larger-cap Singapore developer peers. We have also omitted the 10% conglomerate discount. Property now contributes nearly two-thirds of earnings and valuation. The segment should continue to see promising sales in China, Vietnam and Singapore. Keppel’s decent dividend yield of 3-4% (based on 40% payout ratio) would also lend some support to its share price. O&M barely breaking even; looking beyond results. O&M’s recurring net earnings plunged from the peak of c.S$260m a quarter in 2014 to barely break even in 1H17 due to lower volume; EBIT margins fell from 14% to 2% during the same period. We opine that investors should look beyond the upcoming quarterly results, which tend to be lumpy and likely to remain weak, given the low order wins over the past 2 years. Catalysts – Order wins; property re-rating. We expect Keppel to secure S$1.5bn worth of new orders this year, up from S$500m last year. The group is diversifying into non drilling and LNG segments. This is much needed to replenish its orderbook, which has dwindled to S$3.4bn, excluding Sete’s S$4bn orders. Positive sentiment on the property sector could narrow the valuation discount (currently at 15% to book in our SOTP valuation). Management remains optimistic of stronger home sales in China and Vietnam, with 17k ready-to-launch homes in its pipeline through 2019, representing c.3x of its home sales in 2016.
market values/estimated fair values are used for listed subsidiaries. Our TP translates to 1.1x FY17 P/BV. The O&M segment could fare worse than expected. We forecast annual revenues from Keppel O&M to fall to the ~S$2.6bn level in FY17 and FY18, from S$7-8bn during FY12-14. The continued depletion of its orderbook and deferments/cancellations could pose downside risks to our forecast. Hilli Episeyo is the world’s first FLNG vessel conversion project. Keppel’s Korean peers are only constructing newbuild FLNG vessels. It showcases Keppel’s industry connection and ability to stitch up the value chain with key partners, including customers and end users. With the experience gained from this first FLNGV conversion project, Keppel is now in a unique position to provide customers with reliable end-to-end solutions for the EPC and commissioning of liquefaction unit - FLNG vessel as well as regasification unit - FSRU (Floating Storage and Regasification Unit) conversions. Keppel’s converted FLNG vessel is a faster-to-market and cost-effective solution compared to newbuilds. The successful delivery and smooth operation of the unit will boost the confidence of potential customers and attract new orders for this solution. In the longer term, Keppel’s LNG solutions are poised to become mainstream products, riding on the global push towards cleaner energy. Order wins driven by non-drilling solutions, diversifying into LNG. Keppel’s FLNG vessel orders from Golar were priced at over S$900m each. FLNG orders currently account for over 50% of Keppel’s orderbook (S$3.5bn as of end-March 2017). This is a strategic move to reduce reliance on drilling solutions and tap on the robust demand growth for natural gas as cleaner energy. We believe LNG solutions will be a major order driver for Singapore rigbuilders moving into 2018. Keppel to ride on sentiment turnaround in the property sector; raising valuation peg to 1.0x P/BV. Our property analysts believe that we are at the start of a multi-year government relaxation cycle in Singapore, which presents a multi-year re-rating potential for developers. 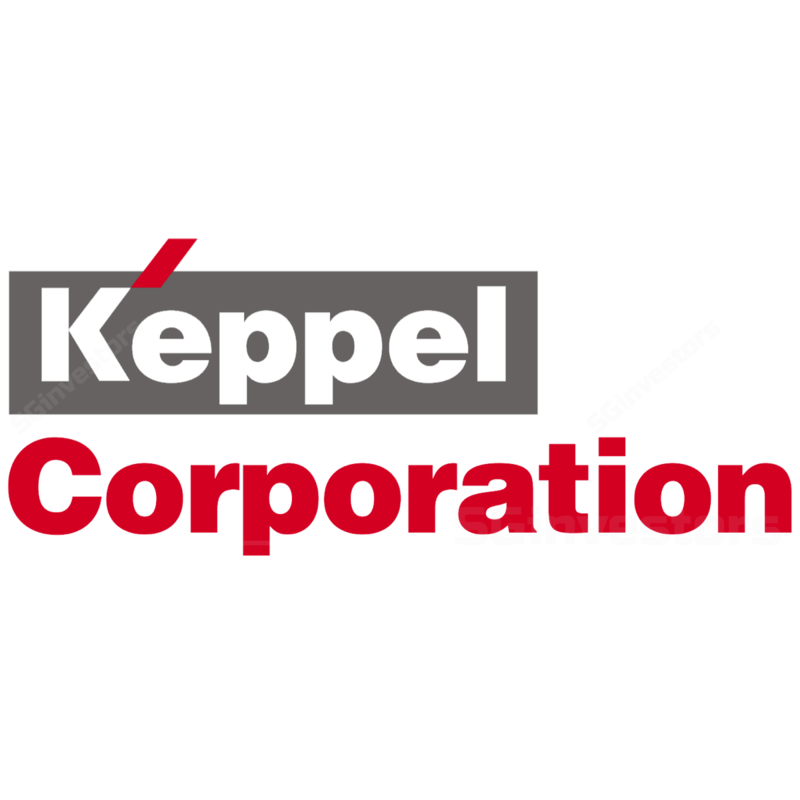 We are raising our valuation peg for Keppel’s property segment from 0.85x to 1.0x P/BV, in line with the other large-cap Singapore developer peers.